The Arizona Corporation Commission (ACC) has eliminated the performance-based incentives (PBIs) provided to commercial solar system buyers by the state’s two investor-owned utilities (IOUs). 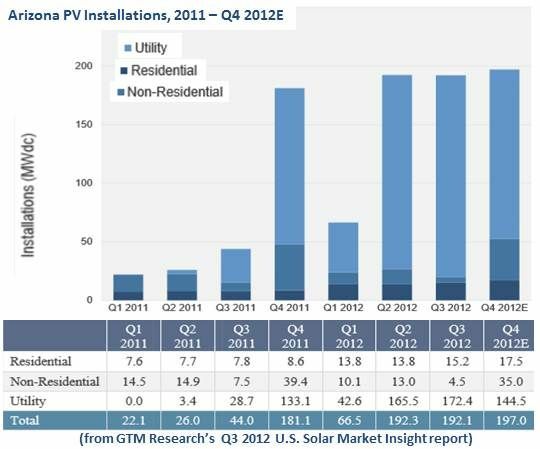 It also drastically reduced the upfront incentives (UFIs) provided by the IOUs to residential solar system buyers. Arizona Public Service (APS) was scheduled to reduce its PBIs for commercial systems to $20.8 million for 2013. 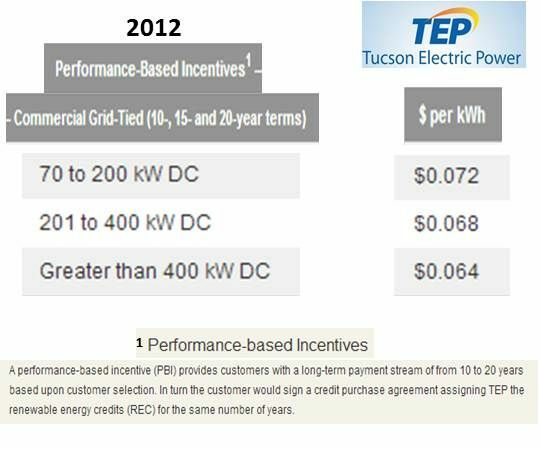 Tucson Electric Power (TEP) was scheduled to go to $10.5 million. Both will now go to zero. In addition, a scheduled $400,000 in APS UFIs were cut to $100,000, and a scheduled $1.7 million in TEP UFIs were cut completely. The APS residential UFIs were scheduled to go to $6.96 million. That was cut to $2.65 million. TEP’s residential UFIs were cut from $1.46 million to $744,000. 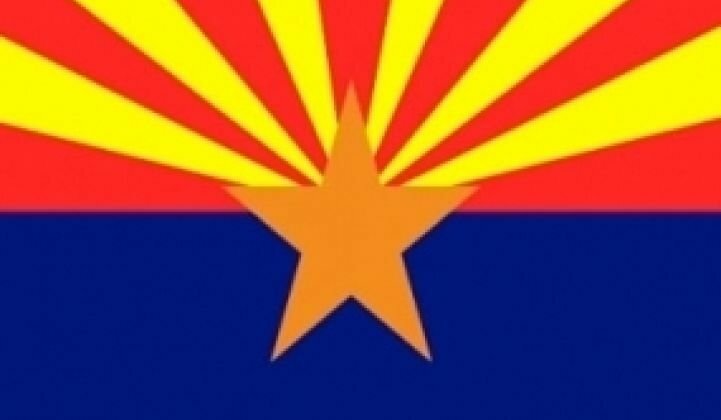 The $38.3 million one-day hit to Arizona’s photovoltaic (PV) solar industry came unexpectedly on the last day of a seven-month public premium re-evaluation process and caught Arizona’s solar advocates completely unprepared and defenseless. The UFIs were paid at the rate of $0.10 per watt. The PBIs were based on competitive solicitations, had been about $0.06 to $0.07 per kilowatt-hour and were expected, due to increasingly competitive solar costs, to fall to about $0.05 to $0.06 per kilowatt-hour this year. The entirely Republican ACC commissioners’ rationale for the cuts, Nutting said, was that they will reduce the Renewable Energy Standard and Tariff (REST) premium added to Arizona ratepayers’ utility bills to fund solar. The REST premium was established by the ACC in 2007 and is capped at $4.00 per month. 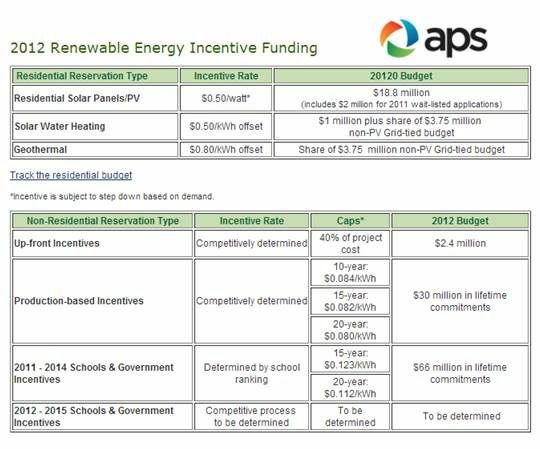 Calculations by Arizona solar advocates concluded the PBI cuts will save APS ratepayers no more than $0.02 to $0.06 per month. 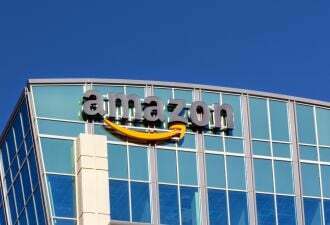 One national installer told GTM that it might have to lay off as much as 40 percent of its Arizona workforce. Higgins and Nutting noted that the ACC’s process was problematic. After a seven-month procedure that began with public proposals from APS and TEP and included extensive public comment and private meetings with commissioners and their staffs, solar advocates went into the ACC meeting expecting no change to the proposed incentive schedule. But they were met with an unannounced amendment that all but eliminated them. The commissioners rejected solar advocates’ arguments that the incentive cuts would harm the industry, noting that there has been industry despair at previous cuts that did not turn into economic harm. Attempts to contact commissioners for further comment got no response.